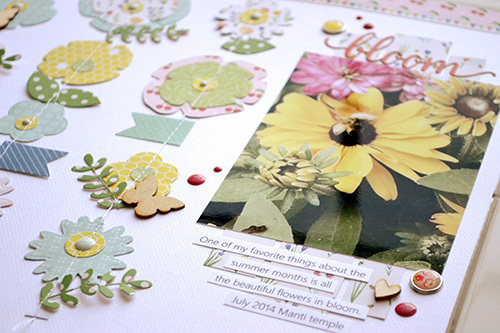 One of my favorite things about the warmer weather is the beautiful flowers in bloom I see all around, so I decided to create a scrapbook page about that. 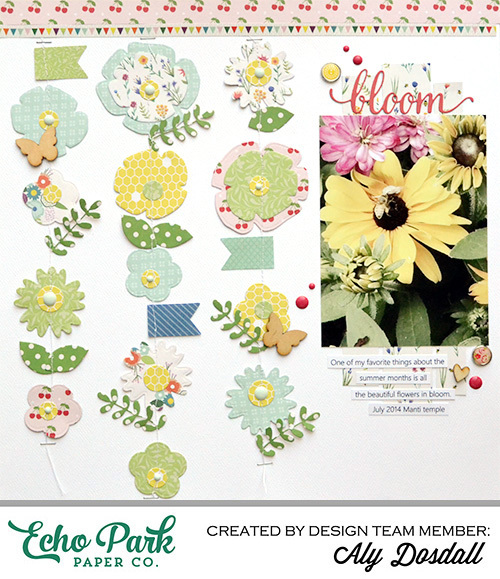 I've been inspired by all the DIY paper garlands I've seen around the internet, so I used the Echo Park Flowers Bloom Designer Die Set to create three dangling flower garlands on my page. I chose the new Homegrown collection—it was perfect for the pretty colors and organic feel of summer. I started by selecting my papers—I went with mostly tonal choices, but also threw in a few multi-color smaller patterns so that the garlands weren’t too overwhelming on the page. 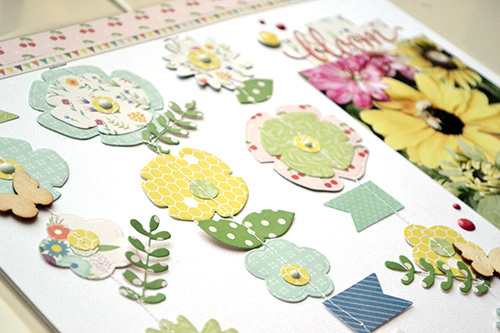 Then I cut several different sizes and styles of flowers, flower centers, and leaves using the dies. I played around with the placement of the flowers on my page until I was happy with where everything was. 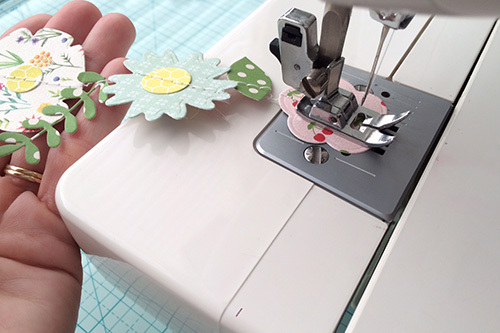 Then I stitched each piece of the three garlands together with my sewing machine and adhered the garlands to my page. I added my photo, die cut title, and journaling next to the garlands, and then added an anchoring border strip at the top. To finish off the page I added some decorative brads, enamel shapes, and wood veneers. Garlands are a fun and eye-catching page design. 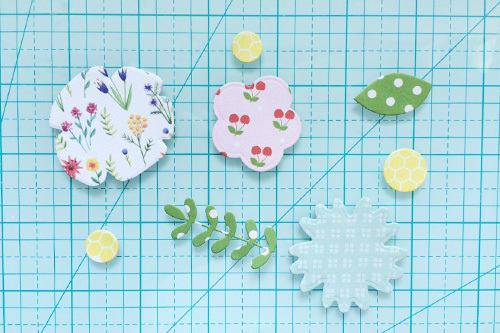 You could make garlands for any page theme—just change up the die cut shapes you use. What type of garland would you make on your next project? *For a full supply list for the project, be sure to catch the original post on the Echo Park Paper blog HERE.